Place the cavolo nero in a colander and pour over boiling water. Set aside to cool slightly. Using your hands, squeeze out any excess water. Place the cavolo nero in a food processor with the garlic, flat-leaf parsley, walnuts, oil, lemon juice, salt and pepper, and process until smooth. Cook the spaghetti in a large saucepan of salted boiling water for 6–8 minutes or until al dente. Drain. 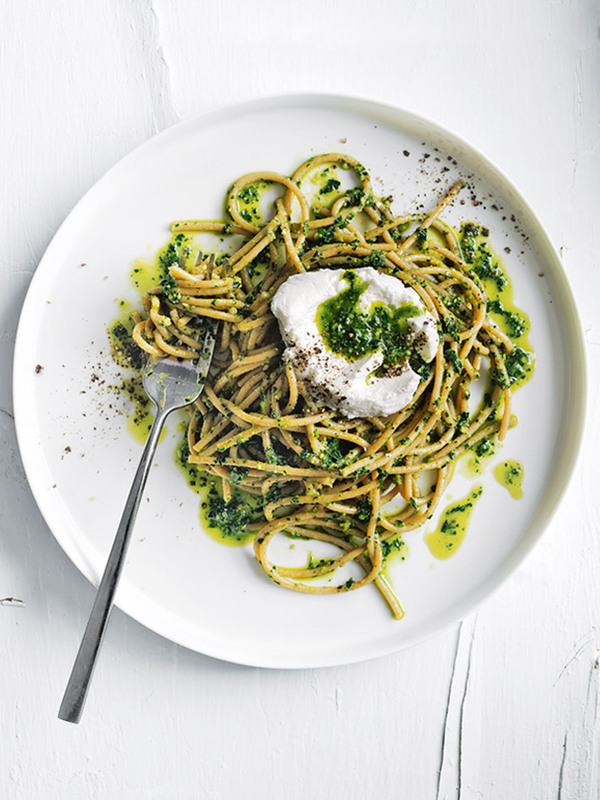 Toss the pesto through the pasta and divide between bowls. Top with the goat’s curd and micro parsley to serve. Serves 4. Absolutely delightful dish. Will be one of my standby easy weeknight dinners.